Having a hard time waiting for maple sugaring season for our awesome breakfast buffet? No worries. We are opening up to serve up some laughter and joy with Santa. 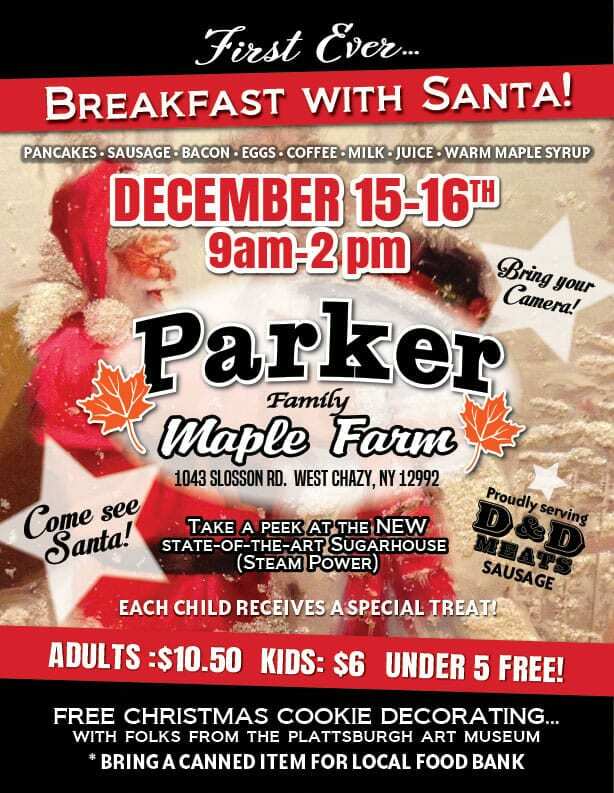 Plus we will be offering free Christmas cookie decorating, a special treat from santa and of course some tasty food. Bring a canned good for the local food bank as well! Help spread the word. Santa is coming to town!